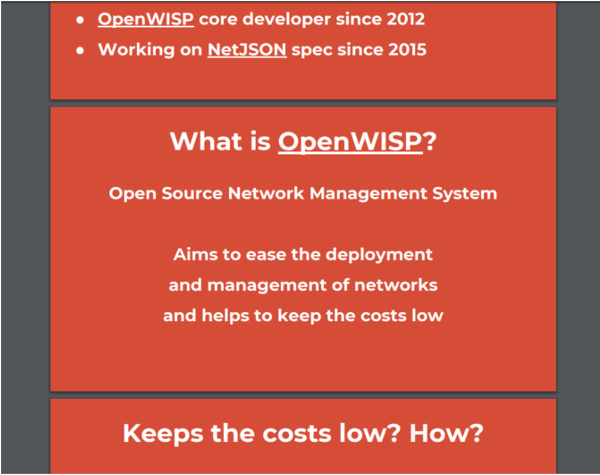 On On Tuesday November 6, 2018 I had the opportunity to present OpenWISP, an Open Source Network Management System at the IETF Meeting in Bangkok. 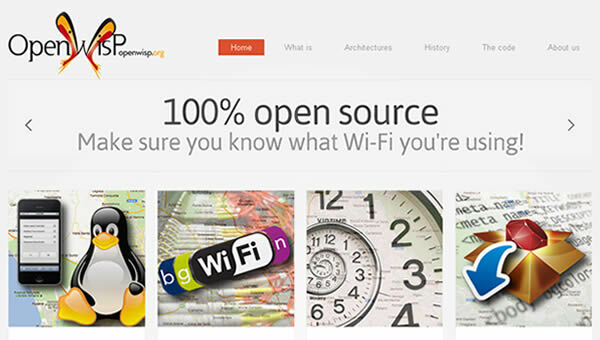 continue reading "OpenWISP at IETF Bangkok"
Speaking at OpenWRT Summit 2017 was great! 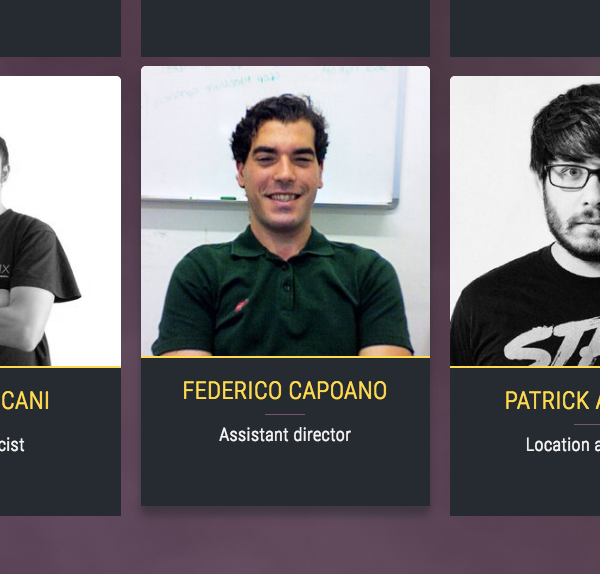 Here you can see the slides. 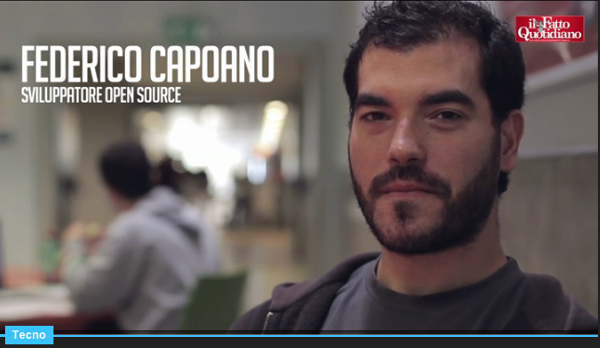 You can find the recorded session on youtube. 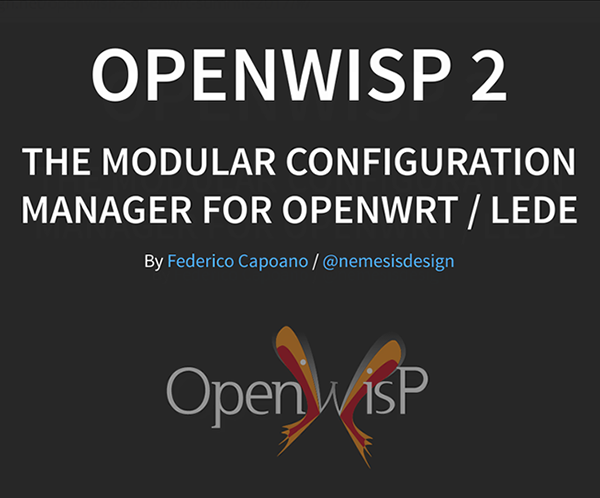 continue reading "OpenWISP 2 @ OpenWRT Summit 2017"
In the past, many people have been struggling to install OpenWISP. 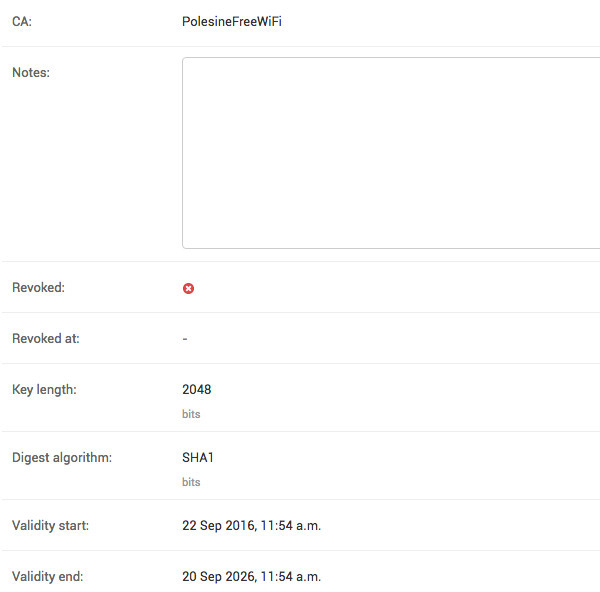 With the work on the new OpenWISP 2 Controller I am trying to make this process easier. 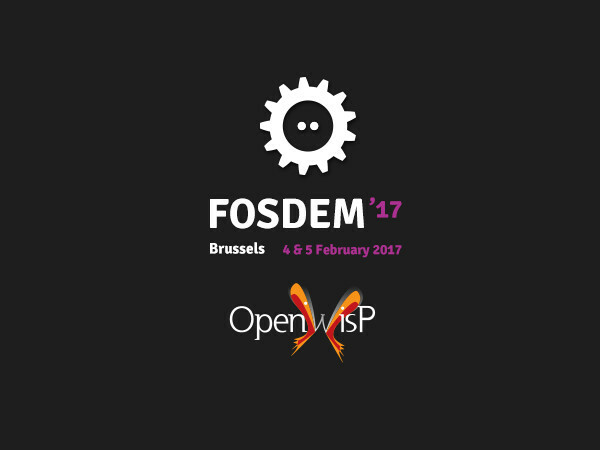 continue reading "How to install OpenWISP"
continue reading "Introduction to OpenWISP2 (screencast)"
I am happy to announce that this year I will present OpenWISP2 at FOSDEM in the decentralized internet dev room! 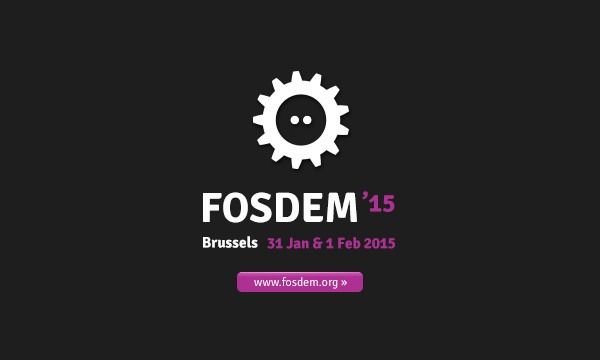 continue reading "OpenWISP2 at FOSDEM (decentralized internet)"
If you are using OpenWRT, LEDE or OpenWISP2, chances are high you may be compiling different images for different organizations (different clients, different no-profit organizations, different community networks) and different flavours (full-featured, minimal, mesh-network specific, ecc). 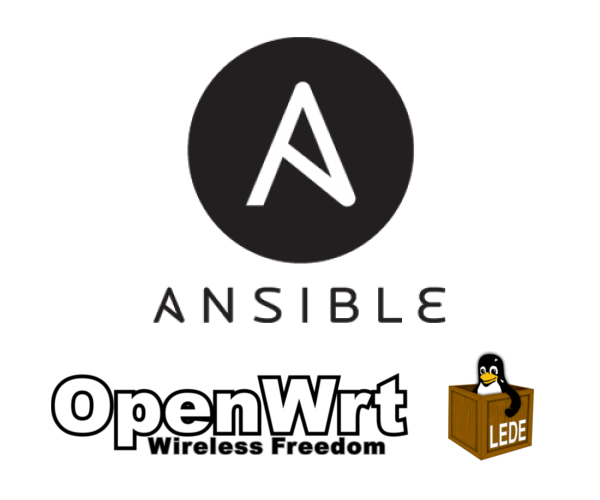 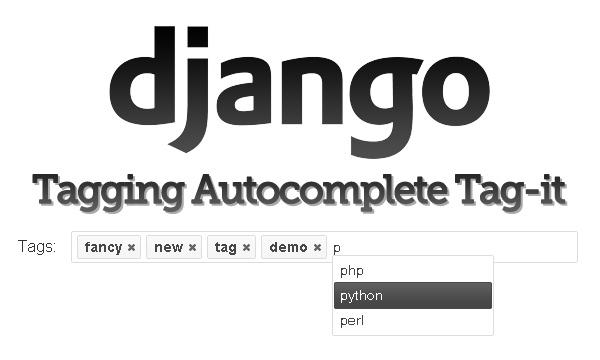 continue reading "Automate OpenWRT/LEDE firmware generation with Ansible"
I tried to give a realistic overview about the world of Linux, Open Source and Free Software to ilfattoquotidiano, a usually more alternative but still mainstream italian newspaper. 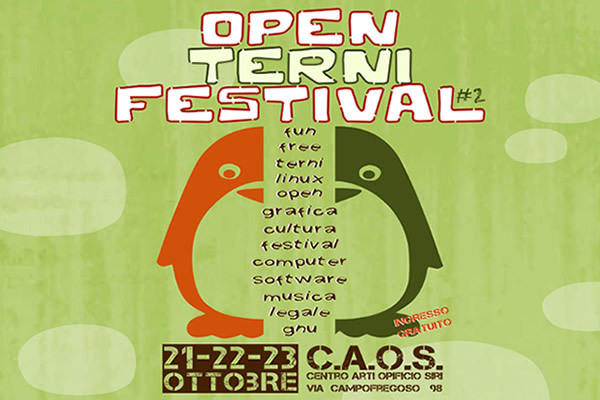 continue reading "Interviewed by IlFattoQuotidiano, Linux Day 2015"
continue reading "netjsonconfig: convert NetJSON to OpenWRT UCI"
In the last year or so I suddenly became interested about telecommunications thanks to my friends at Ninux.org, which inspired me to learn a lot of things about networking, telecommunications, wireless standards and community networks. 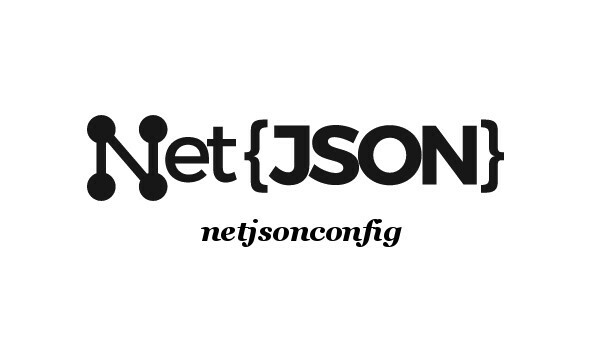 In the past I didn't realize how indipendent networks are important to our society. 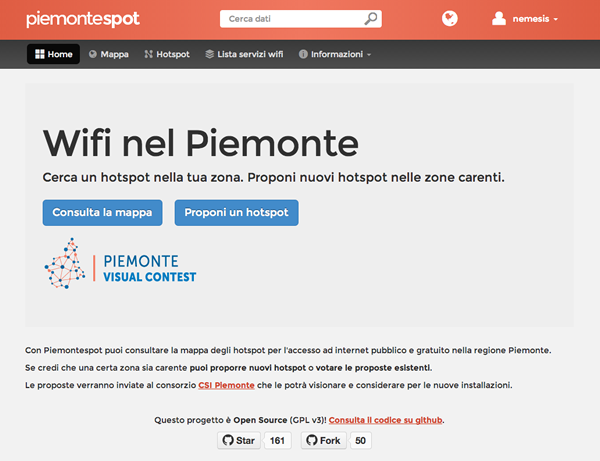 The internet has really revolutionized our society, there's no turning back and this trend cannot do anything else than evolve. 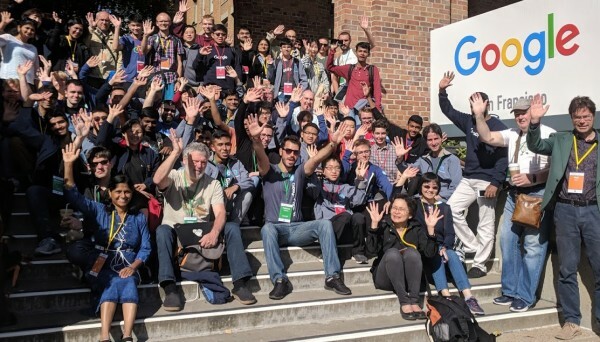 continue reading "A Turning Point in my Life, Community Networks and OpenWISP"
The guys at Google have published a post on their blog dedicated to open-source talking about a en event held by Ninux.org. 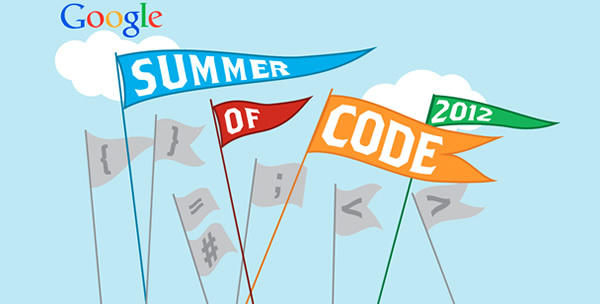 continue reading "Ninux.org on Google's blog"
I'm very happy to announce that the italian wireless community Ninux.org has been accepted as a mentoring organization for the Google Summer of Code 2012 program! 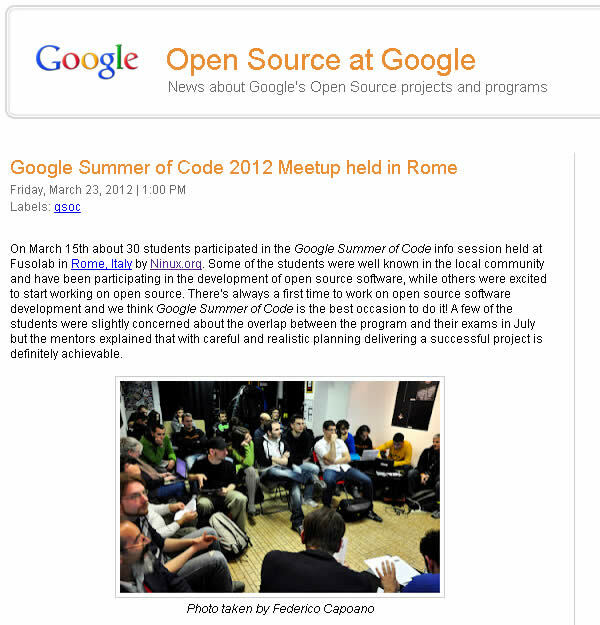 continue reading "Participating in Google Summer of Code 2012"
continue reading "Connected to Ninux Open Wireless Community"
In this blog post I want to share with the world a video that shows the installation of a new node of a wireless community network in Rome, Italy. 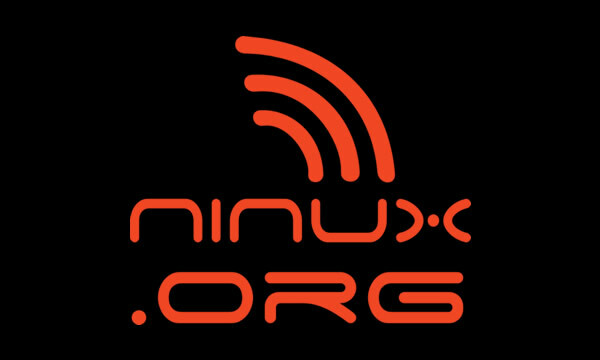 continue reading "Building a wireless network in Rome with Ninux"